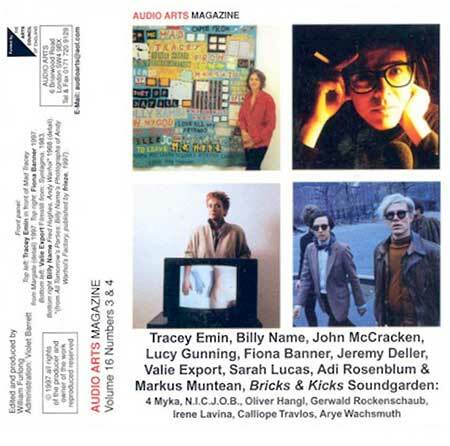 British sculptor Bill Furlong launched Audio Arts Cassettes in 1973 to document interviews he was conducting with contemporary artists as well as sound art performance recordings. During more than 30 years of activity, he published a hundred issues [see my Wikipedia article for more info]. 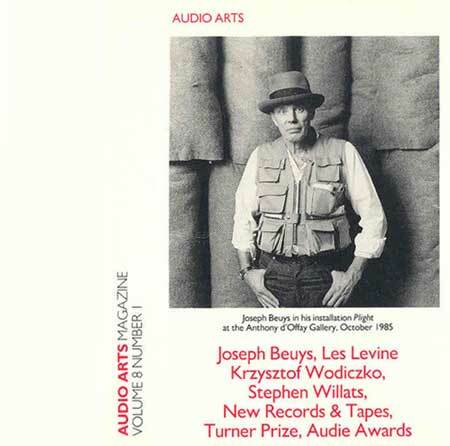 This is a selection from the online Tate Britain archive in which I admittedly favored sound art rather than interviews, though I included unmissable interviews with John Cage and Joseph Beuys. The Dieter Roth track – a joyous waltz solo accordion with whistling accompanyment – is an excerpt from ‘Harmonica Curse’, a limited cassette coming with an original Polaroid, jointly published by Audio Arts and Dieter Roth’s Verlag in 1981. See Bill Furlong’s description here. Roth was also featured in a ‘Collaboration Reading’ cassette with Richard Hamilton, Audio Arts cassette, 1977. The short Vito Aconcci is a disturbing barking dog loop with added vocals for an impressive sound work. 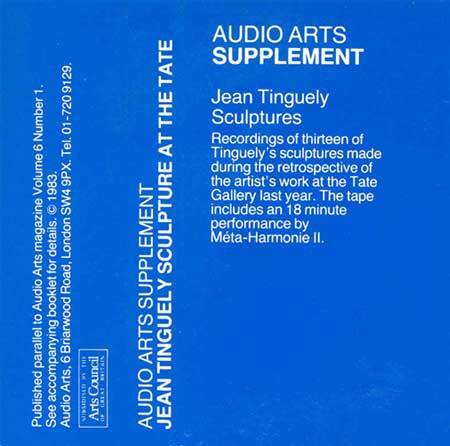 The Tinguely is a very industrial sounding recording of one of his machines during a London exhibition in 1982. Nice Style and Anti-Music were british conceptual pop bands with cryptic comments and tongues firmly in cheeks, as in Nice Style’s soul music parody and Bruce McLean (member of Nice Style) no-wave track. The Static was formed in 1978 with Glenn Branca on guitar, Barbara Ess on bass and Christine Hahn on drums. They joined conceptual artist and rock critic Dan Graham in a London performance at the Riverside, February 1979. The excerpt here is Graham describing himself fronting a mirror while turning his back to the audience. The musical part is available from UbuWeb. The interview with Lawrence Weiner, in itself a rather dry, cryptic conversation, is disturbed by additional female vocals added on top reading conceptual art propositions. 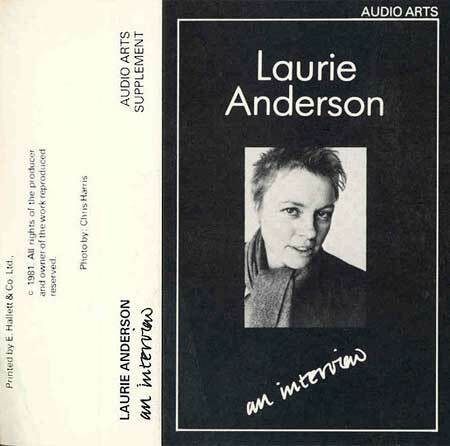 An adorable excerpt from a conversation with Laurie Anderson showcases her juvenile voice. The Audies are quite un-describable, a mix of rock live act with live broadcast show. Oh, you’re welcome – I love reading your blog, it’s like a treasure chest.